When you come to the beautiful Upper Platte Valley to stay in Riverside Lodge, you have a choice of routes. In summer, you can choose Highway 230 from I-80 at the Walcott exit, OR Highway 230 from Laramie, Wyoming. Both are different and stunning views. 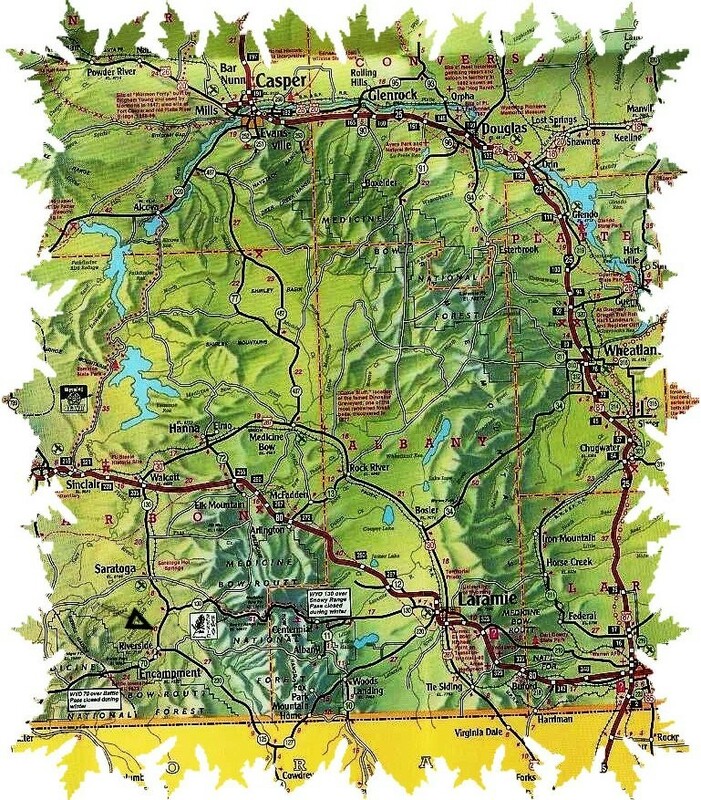 Then, you will want to consider the dramatic trip over Snowy Range, bringing Highway 130 out of Laramie, through Centennial and over the mountains until you intersect Highway 230 and turn toward Riverside and Encampment. Highway 130 is not open clear through during the winter months, but Highway 230 is open all year round unless there are emergency situations.